Google Talk: What does it mean to go off the record? We know that sometimes, we don't want a particular chat, or chats with a specific person, to be saved. Most existing IM services give no indication of whether the person you're chatting with is saving your conversation. But when chatting in Google Talk or Gmail, you can go "off the record," so that nothing typed from that point forward gets automatically saved in anyone's Gmail account. Going off the record applies to individual people, and is persistent across chats. That means once you go off the record with a particular person, you will always be off the record with him or her, even if you close the chat window, and the two of you don't chat again until several months later. You will not need to go off the record each time you chat with the same person, but you will need to make this decision for each person you chat with. We've designed this to be a socially-negotiated setting because we want to give users full disclosure and control over whether the person they're talking to can save their chat. To go off the record while chatting, click the Options button and select "Go off the record" from the dropdown menu. Both people can go off the record or stop chatting off the record at any time, and we will always notify both people of such a change. Does going off the record ensure that my chats won't be saved anywhere? Unfortunately not. People can choose to access Google Talk using a variety of third party clients and some clients save chats locally to the users' computers. We can only guarantee that when you go off the record, the chat history is not being automatically saved or made searchable in either person's Gmail account. We can't guarantee what the other person is doing, since, as is the case for all chats, the other person could always be cutting and pasting, and saving the contents of the chat elsewhere. ALBANY — State lawmakers are expected to pass New York’s first law addressing the growing problem of cyberbullying. After weeks of intense negotiations, Gov. Cuomo submitted late Friday night an anti-cyberbullying bill that lawmakers are scheduled to take up before ending the legislative session on Thursday. The bill requires schools to develop proper protocol to deal with complaints of email, texting or online harassment and designate an official to handle investigations. Facebook has historically restricted access for kids under 12 years old, but that may be changing. Many kids already use the network, with or without their parents' consent, and many parents have raised concerned about privacy, safety and advertising. Russlyn Ali, Assistant Secretary of Civil Rights at the Department of Education, provided the opening testimony at Senator Harkin’s hearing on bully-free schools on Friday. She spoke about what local, state, and federal leaders can do to help prevent bullying. Here is my checklist for using Facebook (and other social networks) safely. Although I developed these with kids in mind, they are good guidelines for ALL of us. What do you think? Any you would add? ❏ All your privacy settings should be set to "only my friends" or "no one". Remember, only people who are true friends in real life can be your friends in Facebook. And, don't put too much importance on whether someone agrees to be your Facebook friend or not. ❏ Only join networks and groups that are real organizations or groups in real life. 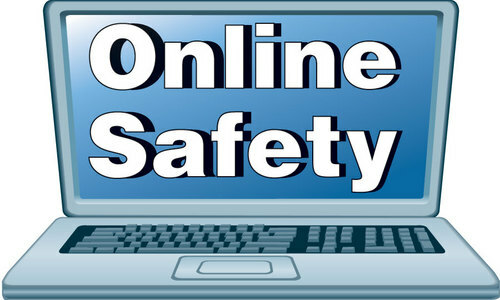 ❏ Friends who use Facebook in a dangerour or hurtful way may not be your online friends. You have to unfriend them. ❏ Keep your time on Facebook in balance with other things that are important - like homework, chores, getting together in person with friends). ❏ ONLY positive information gets posted anywhere at anytime. No exceptions. ❏ Leave "interested in" and "looking for" unchecked (they will not show in your profile). Facebook is for interacting with your friends, not meeting strangers and building new relationships. ❏ Under Contact: Enter only email and screen name. Any of your friends can get any other information from you directly if they need it. Don't risk making it public by accident. ❏ Under Personal: These are empty boxes that can be filled with anything, so be careful that you don't accidentally put something here that you shouldn't make public. Remember that anything you say here can and might be used against you. Don't think you can just delete it later and no one will ever know, either. On the Internet, information has a way of getting passed around and becoming permanent. ❏ Under Marketplace - this is probably not the best way for you to buy and sell stuff either. Selling stuff and maintaining privacy don't go together. Nobody should know about you on Facebook except your friends, and if you want to sell to them there are better ways. ❏ No need to search for friends except for the purpose of finding your true friends to establish friend links with. ❏ Write in proper English. What you post is a reflection of you and your family.